Funded originally thanks to almost three thousand people on Kickstarter, it's already shaping up to be a pretty big and interesting game. It's set to get a lot bigger with the Beta release including their first major end-game content, a whole lot more lore, two new character mastery classes with the Paladin and Druid, new skills and abilities for existing classes, UI updates and so on. One thing did concern me, which is a current major issue in the Linux version that I noted in a recent article with white patches showing up everywhere. I had a chat with the team at Eleventh Hour Games and they said it's an issue that only seems to happen with NVIDIA GPUs, which slipped through their testing being done on AMD GPUs but they've been able to reproduce it and a fix should hopefully come in "the near future". It's damn fun to play though, reminds me of Diablo II quite a lot which I played absolutely tons of and to have such a game fully supported on Linux is awesome. I think they're onto something here, so I will take another dive into it with the Beta release on April 30th. You can wishlist and follow it on Steam or pick up a copy from their official website right now. Time travel from one medieval looking realm to....another pretty much identical medieval looking realm! It does look fun to play, but they really don't do much of a job communicating what role the time travel thing is supposed to play. Quote The only form of real money microtransactions Last Epoch will ever have are cosmetic, our currency for such is even named Cosmetic Points (CP) to emphasize this point. We will continually add in new exciting armor skins, skill effects, companion pets, and whatever else we dream up that can make your character visually more awesome and unique. No experience speed items, stat boost items, character boosts, or any other source of player power will be purchasable with real money. We do not believe in pay-to-win models. So basically this will be like Diablo 3 with official Linux support, which is a nice thing however I feel it is badly executed due to their business decision. I'd rather pay a hefty sum upfront and then purchase skins as DLC later. Can't please everyone simultaneously. I'm happy they are clearly stating their intent. This one looks more like a D2 for Linux to me though but I've never played the third title either...that mothereffin company wants me to be online for a single player game. Totally different story. I'll add this one to the wish list book. Just curious, how does this affect you as a player (afaik you lose nothing by ignoring cosmetics)? 110 skill trees? Well, there goes the remaining hours of my life. Looks like I'll enjoy them though. This game is totally up my and my friends' alleys. I don't like paying to play betas, but I can see myself getting this one at release and not waiting for a sale. 14 This game is totally up my and my friends' alleys. I don't like paying to play betas, but I can see myself getting this one at release and not waiting for a sale. As a backer I can tell you development is coming along nicely and it already plays very well. I think you'll be quite pleased with the game after release. I need to submit the Unity issue with multiple controllers, ie joysticks, which makes the mouse swing to the right. Looks remarkably generic, to be honest. But hey, beggars can't be choosers so bring it on! The microtransactions seem to match that of Path of Exile, except that PoE is free to play. It is unfortunate that developers have realized that simply creating a game and selling it for a fixed price is much less lucrative than games-as-a-service, but here we are. I had interest in buying something in PoE to throw a few bucks their way for the enjoyment, but when I saw the cost of the digital clothing, I baulked. Most everything is several dollars, and many are tens of dollars. I think it was $24 for some ethereal wings. That do nothing but look nice. WOW! Fortunately, I can enjoy the game without the make-up doll aspect. But, it would still be fun to customize your character. 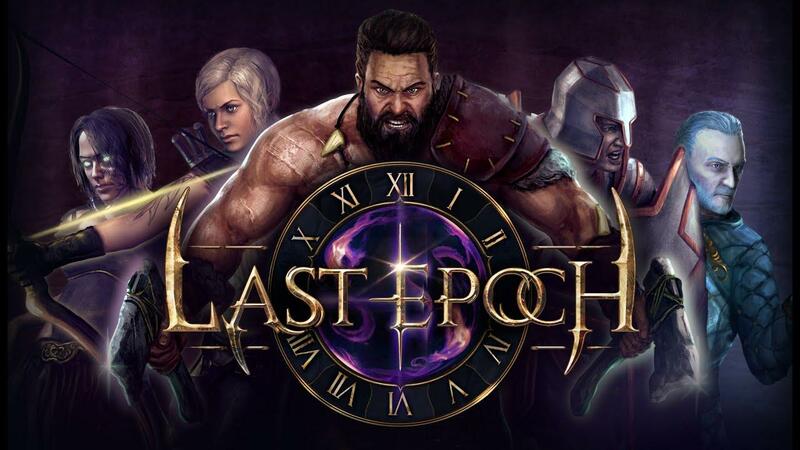 Looking at their kickstarter, they talk about massive end-game content. This is something I wonder about in games. Even Path of Exile talks about end-game content. Now I've played quite a lot of hours, and I'm only just towards the end of act three, of I think ten acts. It seems like a huge story. I do not understand why people wish to rush through it all to get to the ending and then do other stuff rather than play the actual game. I must be old skool.